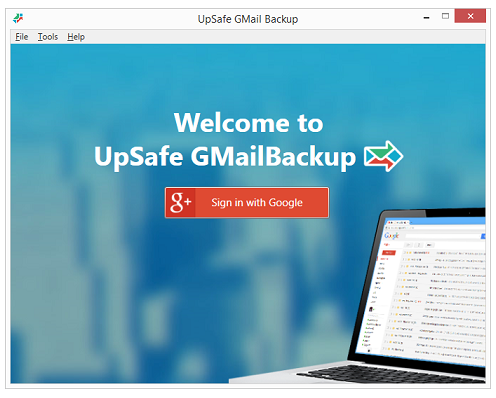 UpSafe (c) Google Mail Backup Freeware - backup your GMail and GApps mailboxes. 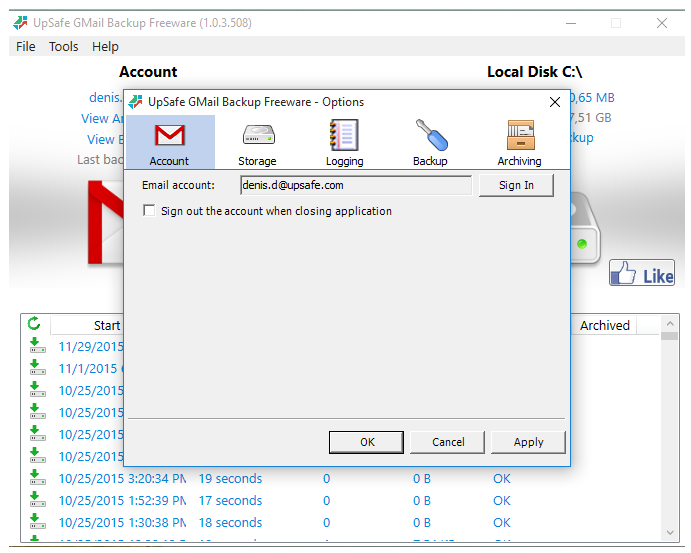 Quickly and easily back up your GMail account locally and to the cloud. 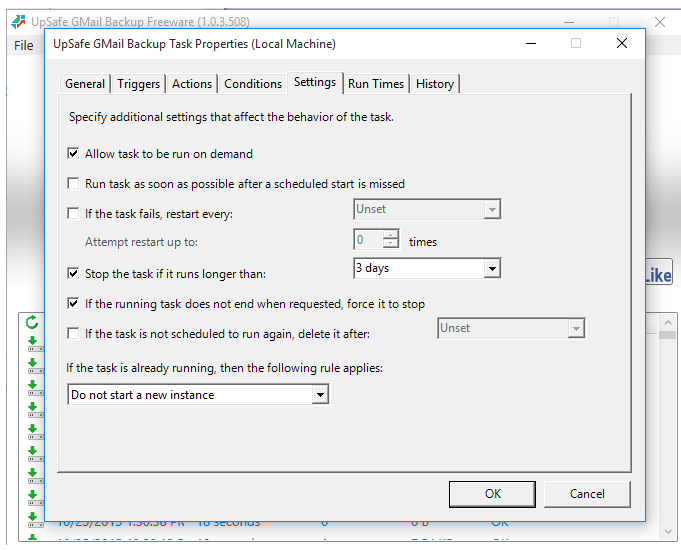 Restore single items or the whole maillbox. 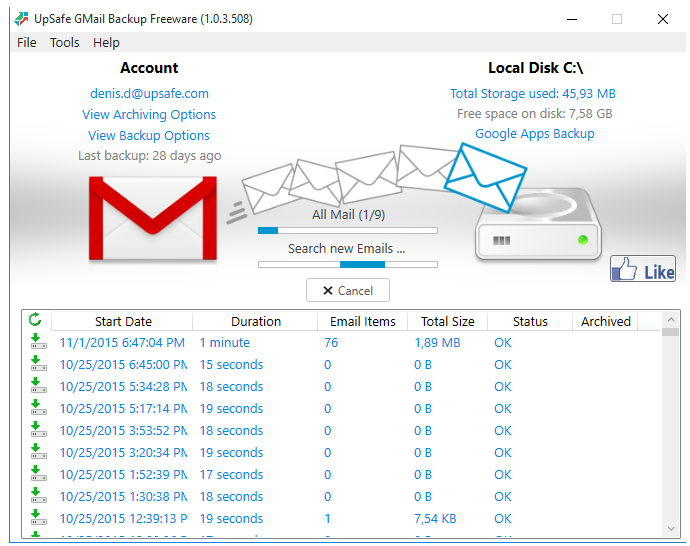 Archive email messages to save space. Set up advanced filtering options to narrow your search. 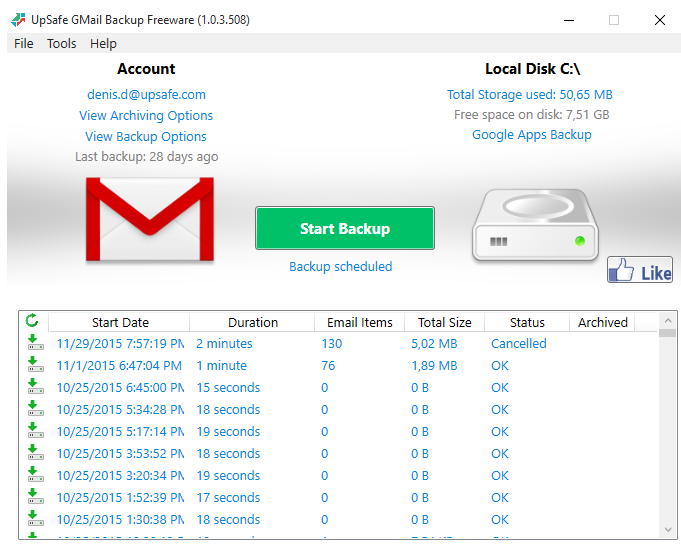 Free some space on your mailbox with Archiving feature! Save all your emails and delete them from your Gmail account. See the full backup history. 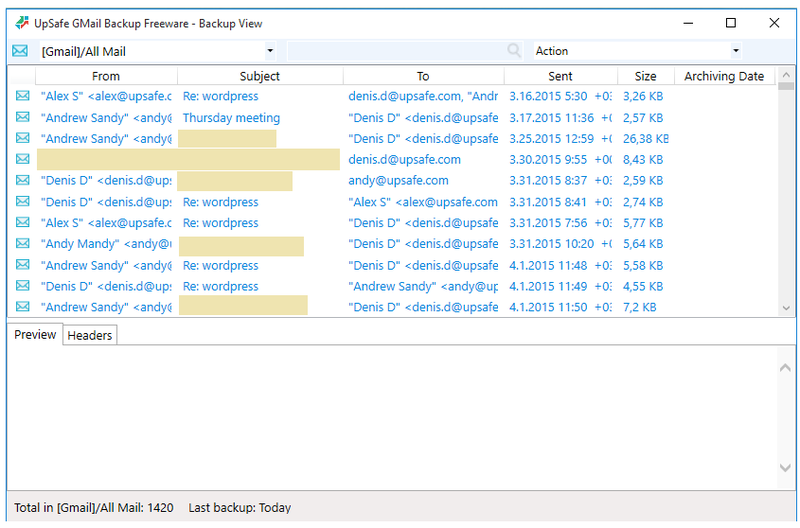 Access to all your emails info in Backup View dialog: read text, view attachments and so on. Select one or several messages to restore them only in a few seconds. 2,035 5,233 UpSafe <img src="https://www.oldergeeks.com/downloads/gallery/thumbs/freegmailbackup1_th.png"border="0"> Jan 29, 2019 - 12:53 1.03.783 22.12MB EXE , out of 4 Votes.